The ship lay buried in mud for two centuries as New York City grew up around it. The last time it sailed along the East Coast and pulled into the harbor on the west side of the island, Manhattan's population was probably less than 20,000. Just five blocks from the ship's final resting place, George Washington had recently been inaugurated at Federal Hall on Wall Street as president of the newly formed United States, of which New York was the first capital. After its last voyage, its owners pulled the ship up onto the shore in order to perform routine maintenance. But it's believed that when they removed the outer sheathing and saw that the lower timbers were too far gone to repair, they saved what was still useable and left the rest behind. At the end of the eighteenth century, Lower Manhattan—the area around the original 1624 Dutch settlement—was too cramped and the harbor too small for the volume of trade that was coming into New York. In the late 1790s, the city began deliberate efforts to extend the shoreline farther out into the Hudson River, thereby expanding the size and usefulness of the harbor. By the 1830s, the area had been completely filled and the new shoreline lay 200 yards west of its original location at modern Greenwich Street. Over the decades, the earth brought in for the shoreline extension—and the trash discarded there—completely covered up the ship. The thick, clay-rich soil sealed the vessel in the fill, creating an anaerobic (oxygen-free) environment that saved the ship from decay due to bacteria that grow in aerobic (oxygen-rich) environments. On the morning of July 13, 2010, during construction for the Vehicle Security Center at the new World Trade Center (WTC), Molly McDonald, one of the archaeologists from AKRF, the environmental and planning consultants monitoring the site for the Port Authority of New York and New Jersey, stopped the backhoes. "It was 6:00 a.m. and I had just arrived on the site to oversee the demolition of a nineteenth-century wooden dock. A few minutes later, I saw two small curved timbers sticking out of the mud and said to Michael Pappalardo, the principal investigator at the site, 'It has to be a ship.'" Immediately Pappalardo and McDonald began excavating the area by hand. They were quickly joined by several other AKRF archaeologists, including Assistant Project Manager Elizabeth Meade. Soon the team had exposed the vessel's frame and some of its planking, and by the end of the week, they had uncovered the stern. It is possible that the bow of the ship remains buried at the site. Knowing that they would have to move fast to prevent the ship from falling apart from exposure to oxygen and sun, Diane Dallal, Director of Archaeology at AKRF, consulted Doug Mackey of the New York State Preservation Office, Norman Brouwer, former maritime historian at the South Street Seaport Museum, and conservator Gary McGowan. In consultation with the Lower Manhattan Development Corporation, the agency leading the preservation effort, all came to the conclusion that it would be impossible to preserve the ship in situ, where it would almost certainly be damaged by continued construction, and that it would be best to remove it piece by piece. First AKRF considered digging around and under the stern and then lifting the ship in one piece, as was done two years ago with the ancient Roman boats found in the Naples harbor ("Naples Underground," May/June 2008), but concluded that the remains were too fragile. Dallal next contacted Warren Riess of the University of Maine, an expert on eighteenth-century ships. "Even though I have sworn off fieldwork to see to other projects, when I heard about the discovery, I had to come and see for myself," says Riess. "As soon I looked at it, I knew it had been a good-sized vessel, about 60 to 70 feet long and 18 feet wide, dating from the late eighteenth or very early nineteenth century." It was clear to Riess that this was a rare find—he estimates there are fewer than five other ships of this type and period to have been found, and none were put together exactly like this one. Everyone agreed that the best strategy was to dismantle the ship to move it to safety. "I know it may seem that we are destroying something by taking it apart," says Riess, "but really, it's okay. Ships seem to be alive when they are floating, almost as if they have a heartbeat, but when they are no longer afloat, they are like a body you are working with, and you can learn about what happened to it best by taking it apart. I believe that the true value of the ship lies in studying how it was built, and this is best done by dismantling and preserving it," he says. "Besides, if you want to, it's easy enough to put it back together!" Archaeologists usually have weeks, months, or even years to remove ship remains. (It took the Naples team several months, and in 1982, Riess had a full month to remove an early-eighteenth-century ship found nearby at 175 Water Street.) AKRF, by contrast, was given just five days, so Pappalardo and a team of 14 worked 16 hours a day to disassemble 32 feet of the ship's stern piece by piece, drawing, planning, mapping, photographing, and using 3-D laser scanning at every stage to record each of the more than 200 pieces of wood taken from the site. Then Riess finally had a moment to think about what the team had uncovered. "This find is really important because it's the kind of everyday vessel we don't know anything about from written records, or even from many other examples. It's not a fancy government ship or a warship. It was built in a common shipyard using the best wood the shipwright could afford. I have great respect for these shipbuilders; they were some of the most technologically advanced people of their day. But they didn't keep records of what they did, so the only way we have to study their work is to find these ships and take them apart," he says. The WTC shipwright's one extravagance was the use of expensive 3/8-by-3/8-inch iron nails to put the ship together. Ships of this period were usually held together by wooden trunnels (long wooden dowels). "I really don't know why he did this...it's one of the things we are going to have to figure out." Riess believes that the ship was probably a brigantine or a brig, a two-masted vessel that sailed from New York to the Caribbean, carrying wood, livestock, and food south, and sugar back north. When Kevin Eckelbarger of the Darling Marine Center at the University of Maine, an expert in the analysis of teredos (shipworms), examined a small sample of the wood from the ship, he found a type of worm known to inhabit the south Atlantic. The AKRF team also screened 100 percent of the soil between the ship's planks and, according to Dallal, found a variety of late-eighteenth- to early-nineteenth-century artifacts including clay pipe bowls, a gilded copper-alloy shoe buckle, a porcelain bowl with a dragon's tail, bricks, a coin affixed to the ship's planking, some of the ship's wooden rigging, and a button with the number "52" on it that belonged to a member of the British 52nd Regiment of Foot. "We also found lots of shells and marine organisms growing on the ship, which is unusual for landfill sites," says McDonald. "We think that with further analysis these are going to give us a lot of insight into the story of the ship's abandonment and of the land being filled in around it, as well as into the ecology of the near shoreline at the time." They also found some munitions—birdshot, musket balls, a gun flint, and a small cannonball—that the crew would have used to defend themselves from the pirates who roamed the waters around the Caribbean and, at that time, New Jersey. In the hopes of identifying the type of cargo the ship carried, the team recovered botanical remains from the soil in and around the ship. There's a lot more work to be done, but even in these early stages, its significance is apparent. "This is the kind of ship that built New York," says Riess. Throughout the nineteenth century, New York continued to grow as the financial and commercial center of the United States, and more goods were delivered to the city. But the western shoreline had become difficult to navigate and use because of varying depths of water in the harbor and a lack of standardized dock sizes. Ships often weren't able to get in close to the shore, and may have had to offload their cargo onto smaller boats, or may not have been able to trade in the city at all. In 1870, as the first chief engineer of the city's Department of Docks, the Civil War commander General George B. McClellan proposed the creation of a bulkhead to regularize the shoreline and allow larger ships to dock at the edge of the island, rather than on piers or wharves hundreds of feet from the shore. Over the next six decades, engineers built the Hudson River Bulkhead, which eventually extended more than three miles along the island's western shore from the Battery (the southern tip of Manhattan) to 59th Street. This nineteenth-century river wall is no longer in use—it was mostly cut off from the river by the massive excavation and landfill project undertaken during the construction of the WTC beginning in the late 1960s that also created Battery Park City. But during the late nineteenth century and through the early twentieth, the bulkhead shaped the city's shoreline and allowed New York to continue developing. In 2007, during the early stages of construction of an underground passageway to the World Financial Center, archaeologist Zachary Davis of The Louis Berger Group, a consulting firm working with the Port Authority to restore the walkway that was destroyed on September 11, identified part of the bulkhead built between 1893 and 1896 in front of the World Financial Center's Winter Garden Atrium. "It was really interesting because the bulkhead was actually covered over by a platform built during construction of the World Financial Center that was part of a structure that captured stormwater runoff and funneled it out to the Hudson River," says Davis. "Even though it no longer represented the edge of Manhattan, more than a hundred years after the bulkhead was built, it remained useful." As construction of the passageway continued this past summer, it became necessary to begin removing the bulkhead. Davis and his team are documenting the wall as it is destroyed, hoping to learn as much as they can about its construction before it is completely demolished. "So far we have removed about 10 feet of granite blocks, including the massive four-foot-high capstone. We expect the wall to go down about 30 to 35 feet more through layers of granite, concrete, then riprap [rocks used to fortify shorelines against water and erosion] fill," says Davis. By the time construction of this section of the walkway is completed, the bulkhead will be completely excavated and removed. "We are really looking forward to examining the eastern side of the wall [the one that faces the city]. I think this is going to be even more interesting." McClellan devised the innovative strategy of creating a wooden supporting platform on the city side of the wall to prevent it from sinking into the mud on the river side, as was already happening to some of the other bulkhead approaches to the city. "We are going to start finding the wooden timbers from McClellan's platform. We know they are there," says Davis. "We have also learned from the contemporary construction records that burlap bags were used to carry the riprap to the site and we are starting to find these sacks. It's cool to think that more than 100 years later, these are remains of the bulkhead's original construction." But, as in the case of the WTC ship, the bulkhead's remains are not only significant in and of themselves, they also play an important role in understanding the development of New York. According to Davis, the Hudson River Bulkhead was the first effort by a large city to standardize its waterfront to improve commerce and trade. "Without it, New York would have lost out on becoming the primary port in America." The attacks of September 11 destroyed not only the Twin Towers, but also most of the buildings in the 16-acre space between Vesey Street to the north, the West Side Highway to the west, Liberty Street to the south, and Church Street to the east. 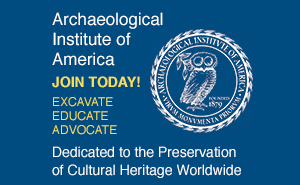 And while the construction on seven new office buildings, the National September 11 Memorial & Museum, and new transportation infrastructure continues, the archaeologists are closely watching the site, ever mindful that the space has meaning beyond the importance of its archaeological finds. "It's an odd place to work and we are very aware of this," says Riess. "This is hallowed ground where people died. The first time I was here, we stayed at the Vista Hotel, which was completely destroyed on September 11." In addition to the rare opportunity to look at a large-scale snapshot of the eighteenth- and nineteenth-century landscape of Lower Manhattan over a huge and very, very deep area, McDonald says, "There is something about the site that inspires you with the monumentality and wonder of all that has happened on this location for the last two hundred years. And excavating alongside construction workers, many of whom have a personal connection to the site as part of the crews that worked there in the immediate aftermath of September 11, makes it that much more intense." More than two centuries after the shoreline was extended for the first time, and 140 years after construction of the Hudson River Bulkhead began, the landscape of Lower Manhattan is changing again. 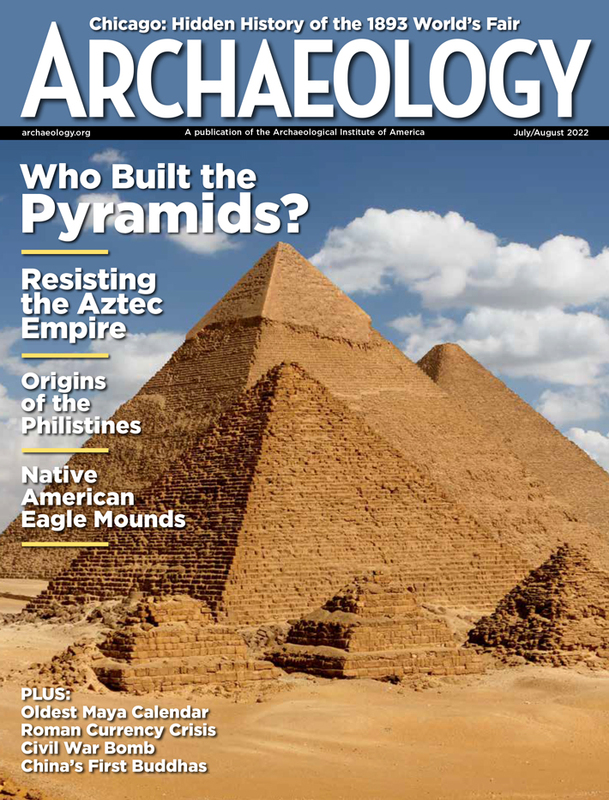 Jarrett A. Lobell is executive editor of ARCHAEOLOGY.